Hey there! Thanks so much for visiting! We are Kerrie and Jamey, health coaches. We have a passion for helping people learn how to make lasting changes in their lives...just like we did. We met in college in 1996 and in 2002 we got married! We live in the greater Seattle area and we have one son and two dogs. Kerrie is originally from sunny California and Jamey grew up in beautiful Alaska. We each have our own individual health and fitness transformation stories. We both had a hard time losing weight, tried fad diets, and always gained the weight back. But what we learned over the past several years has changed our lives, and that's exactly what we want to help other people do! In 2009, Kerrie made a commitment to herself to get healthy. Running was what she knew, so she chose it to "get in shape." It worked at first, but then it didn't – it actually did more harm than good. 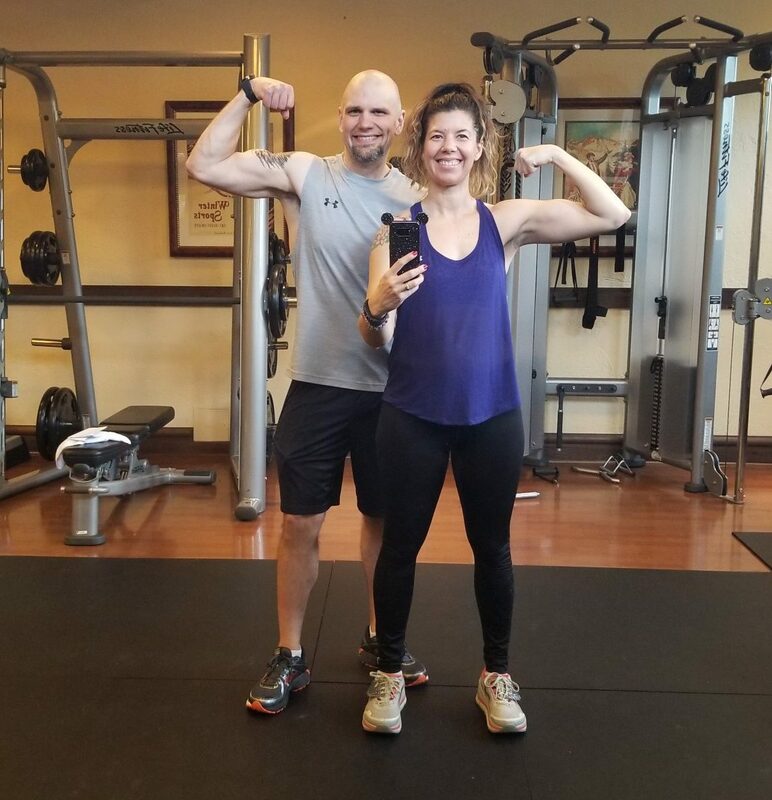 In 2013, she began her health and fitness education, studying everything she could about the metabolism, nutrition, and exercise until she decided to get her Metabolic Effect certification in Fitness Training and Level 2 Nutrition Certification (L2) in early 2018. She is currently studying for her Precision Nutrition certification. Jamey began his health journey in 2015. His method of changing one thing at a time (starting with walking ) worked well, and over the next two years, he lost more than 90 pounds! He also added Metabolic Conditioning and weight lifting to his routine, and studied everything he could about nutrition. Jamey earned his Metabolic Effect certification in Fitness Training and Level 3 Nutrition in 2017, and is currently studying for his Precicion Nutrition certification. We hope you find inspiration and helpful advice here to help you reach your goals. And if you need more, feel free to send us a message on chat or email. We'd love to connect with you!